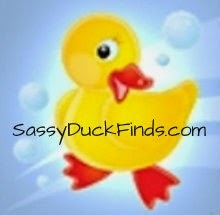 Welcome to Sassy Duck Finds! We hope you find many treasures that you were looking for! Simply want to say your article proessaywriting.com is as surprising. The clarity on your put up is simply cool and i could suppose you're an expert in this subject. Totally, the actual write-up is really the very best in that will worthwhile matter. I really fit in jointly with your results and certainly am going to keenly seem to be toward your own essay writer upcoming improvements. Just telling many thanks could not only be sufficient, for your exceptional readability as part of your composing.I'll use this information to provide term papers for my friends. My home is smoke-free. However, I cannot guarantee that the item has never been in an environment where there is smoking. I do have pets, but they do not have access to my inventory. Orders are shipped using US Postal Service. I do occasionally ship UPS when an item is large and/or heavy. If you are unhappy with your purchase, I do accept returns within 60 days. Please contact me first so that I know that you are unhappy. If necessary, I will pay for the return shipping of the item you want to send back.